Escape Room And Kids: Can They Jell Well together? From movie night to board game night, there are tons of ways to incorporate some good old family bonding. But after a few rounds of monopoly and the kids arguing over who’s turn it is to pick the movie, family bonding seems like more work than it’s worth. If you’re getting tired of the same old activities and are running out of ideas on what to do for the family night, you may want to consider something a bit more unique. Escape rooms have taken off the last few years and for good reason. Not only do they get your brain juices pumping, but they’re a fun way to incorporate all the skills in your family while bonding at the same time. Not convinced yet? Continue reading to see why escape rooms for kids are the best way to bond your family. 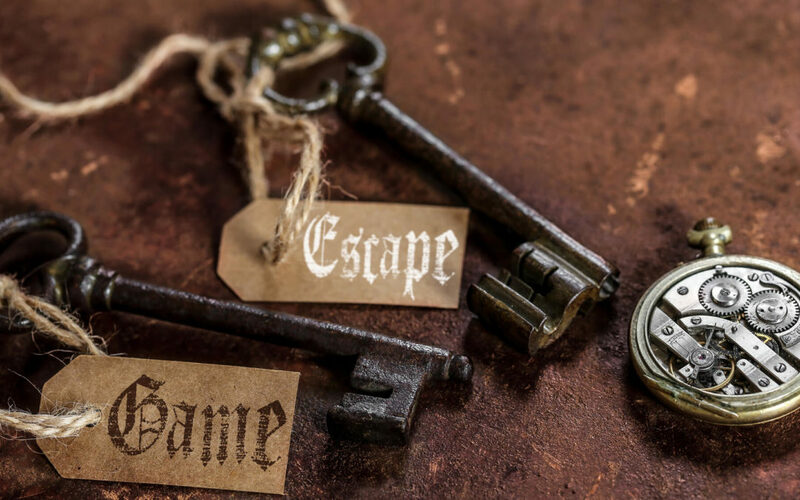 Before we get into the nitty-gritty, you may not know what escape rooms even are. Back in the early 2000s, the idea for escape rooms stemmed from none other than a video game called “Crimson Room”. As the name suggests, players get locked in a room and try to find clues to get themselves out. The game – and others like it – grew in popularity. Business owners and entrepreneurs alike decided to create real-life versions of these rooms. Depending on the company, each room has a different theme and different rules. While some give you unlimited clues to help you escape within the hour, others limit you to only three clues! Most of these escape rooms have fictional backstories and characters, making the mystery and puzzle even more fun for those trying to escape. Because some escape rooms are more complex, demand more physical activity, or are just plain scary, they may not be suitable for kids. This doesn’t mean all escape rooms are adult only. To find out if a particular escape room is kid-friendly, the best bet is to research the escape room you have in mind and look on their website. They may have an FAQ page where they have suggested age limits and answer other questions you have. Most escape rooms allowing anyone under the age of 11 to participate ask that a parent/guardian sign a waiver form for them. If you have children under the age of 11 you wish to bring, you can always call them and ask! Although a particular escape room allows children under a certain age, this doesn’t mean your child will enjoy the activity. Escape rooms require a lot of focus and attention, especially since you only have a certain amount of time to escape! If your child has trouble focusing , they may not enjoy the escape room, even if they are with their family. This all depends on your child’s age and personality – you know your child best. Once your family is “locked” into the escape room, no one will have a phone glued to their hand. This means you actually get to bond with your children and significant other by working together to solve the mystery. No electronics and no distractions. What more could you ask for? To escape the room, each family member will have to search the room and communicate any clues or information they find. While one clue may lead to the next, others need more thought and time to figure it out. And while this is a competitive atmosphere, your family isn’t competing against one other. The key is to work together, creating even more of a bonding experience. The best part of escape rooms is how they bring out certain skills in certain people. While some may be better at finding hidden clues, other areas problem-solvers or mathematicians. No matter how old your children are, they can use their own skill set and help the whole family escape. This not only builds their confidence but enhances their skill when they see how it helped them escape! Certain rooms will enhance certain skillsets, so make sure to do your research and find a room which will work best for your family. Don’t forget to take your children’s ages into consideration. Most escape rooms can hold anywhere from 6-12 people at a time! This depends on the size and type of room. If you have a small family, we recommend booking a private room so no strangers will get locked in with you. This is important to keep in mind if your children are shy around people they don’t know. They may not feel as comfortable and be as assertive with others playing along, hindering the entire experience for you and your family. Escape rooms are a unique and fun way to get out of the house and off the electronics for an hour. Though there are more escape rooms geared for adults, there are plenty of escape rooms for kids and families to enjoy. We hope this article has inspired you to take your family out for an escape room night! It’s also an excellent way to celebrate a birthday or even go on a date night. Make sure to check out our rooms (we have three to choose from!) and find the one that best suits your family!